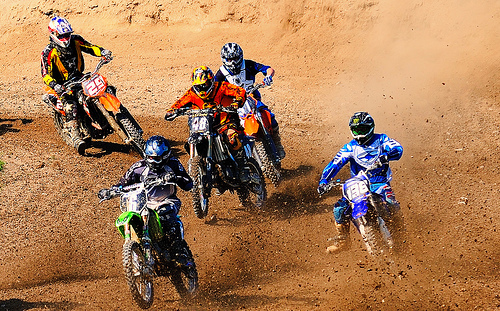 How to Get Involved in Motocross For Free! Think you know dirt bikes? Think again! If you utter the word motocross to the majority of people in the UK and Europe, you’ll be met with little more than a blank stare. Although dirt bikes are popular, the facilities for racing them on this side of the Atlantic are somewhat limited. Most youths who fancy themselves as pretty good on two wheels, won’t even be aware of the competitive side of the sport, or its World Championship races running between March and September every year. It’s big business and it’s big fun. For die-hard fans, following the AMA Championships in the US (who run their own event) or the World MX GP everywhere else is how holidays are planned. As soon as next season’s schedule is announced in the last few months of every calendar year, cheap flights are booked, tents are aired and campervans are run through their pre-season inspections. There are a lot of miles to be covered here, whichever series you follow, but as adventure tours go this has got to be one of the best. You’ll be guaranteed to get up close and personal with some of the fastest, craziest and most adrenaline pumping action out there, so it’s taken very seriously indeed. 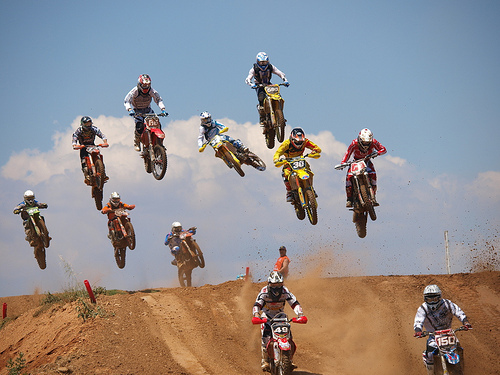 The reason motocross is such a popular choice is because it’s universal. Big named sponsors like Monster Energy and Red Bull have their own teams and riders, and fans deck themselves out in the often garish outfits worn by their favourite riders. Teams are built round their bikes of choice which can be identified at a distance by their individual colour schemes; Yamaha in blue, Kawasaki in green and so on. Different classes are entered by riders on different engine sizes and pit lanes and paddock tents are buzzing with talk of tactics and mechanical suggestions. But this is one sport where a spectator doesn’t have to be relegated to the side lines if they’d rather be getting involved. Year upon year, ordinary people sign up for volunteer work and undertake a variety of different tasks to get the events underway. They do it for their love of the sport, the thrill of being involved, the chance to meet the riders up close, and for the additional perks that come with the role. If getting a free paddock and pit pass is your thing or you like the idea of hanging around behind the scenes with the Monster Energy girls then volunteering at a motocross event might be your idea of a perfect holiday. Check out the roles below as to how you can get involved. The first place any spectator is going to hit is the car park, whether they’re looking for the camping section with their caravan in tow, or just want to park the car. Car parks at these events are usually pretty well laid out in little more than a large grass field and it’s the steward’s job to direct every vehicle to the right place. This job might not seem too glamorous, but it does have its perks. Most of the parking will be finished early on every day, leaving plenty of time for watching the action. Plus, most of the car parks will be set close to the track, so if you’re in an elevated position you’ll have a great view all to yourself. Again, this isn’t perhaps the most glamorous of roles (we’ll avoid the rubbish jokes), but in order to earn your perks you’ll need to be handy with a bin bag. You’ll spend the majority of your time wandering around the spectator areas ensuring the drinks cans and burger wrappers don’t become a permanent feature. The bonus of this role is that most of the litter picking comes at the end of each day when the majority of spectators have left, giving you most of the mornings and afternoons to watch the action. 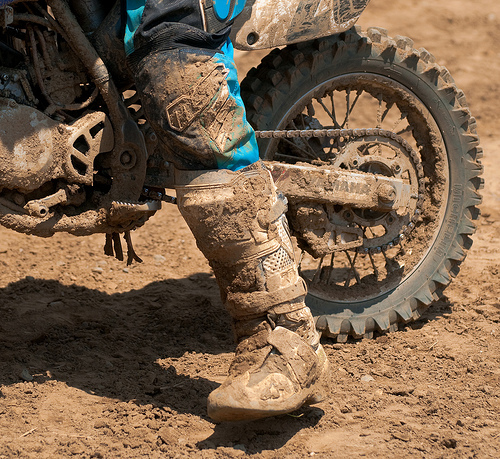 Motocross events are all ticketed, so stewards are posted to the main entrances to make sure that everyone coming in and out has a valid ticket. It’s an easy job and done in shifts so you’ll have time to enjoy the event while you’re on your break. This role has the downside of being a constant requirement, so you may not get to watch as much of the racing as you’d like. If you don’t mind a bit of manual labour, and you’re prepared to do anything you’re asked to do, then why not become a general dogsbody. You’ll get to do everything from delivering cans of energy drink and building trade stands in the sales areas, to running errands for the riders and teams and helping marshal the track. 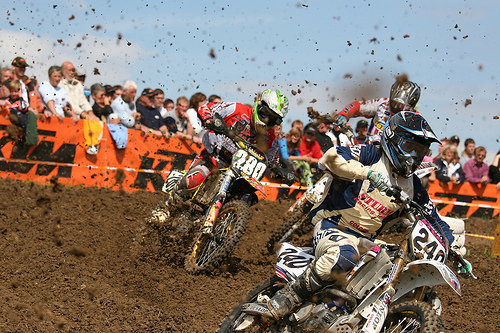 This entry was posted in Featured, Land Sports, Motocross and tagged Motocross, Motocross Jobs. Bookmark the permalink.